Gifts from the Pirates: A for Archaeopteryx, B for Birthday and C for Card. A for Archaeopteryx, B for Birthday and C for Card. 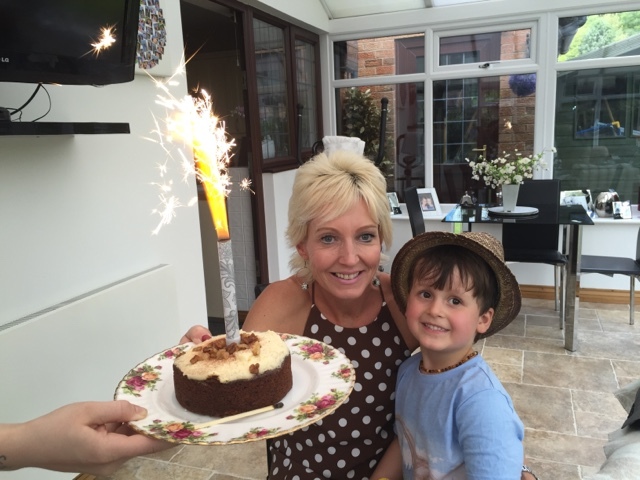 This morning was filled with the excitement of Nanny Roo's birthday and Opeie was excited about making her a very special card. 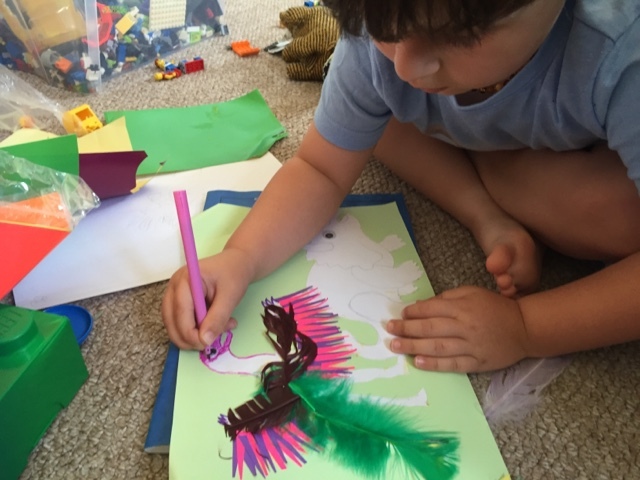 Usually when making cards for our love ones we aim for a theme that the recipient is interested in and take it from there, this time though our miniature Paleontologist decided that the theme, of course, was going to be 'Dinosaurs'. I have been loving Opeie's dino enthusiasm and watching it all unfold over the last month or so has been very entertaining. As always I have been right by his side embracing whatever is keeping him interested. Opeie made it clear what he wanted to do with the card and I did everything I could to help him with his venture, a fabulous picture of his two favourite dinosaurs, the Triceratops and the Archaeopteryx. So we set about making templates and cutting out shreds of paper for the wings. 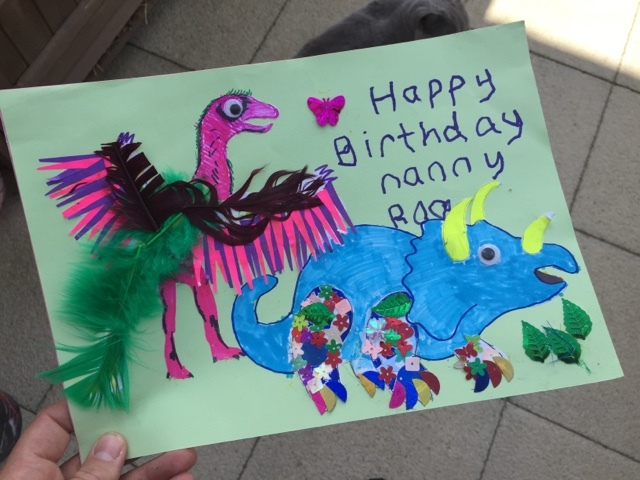 Although Dinosaurs are not really one of Nanny Roo's interests, sparkly things are, so Opeie informed me that the Triceratops legs would be "glittery", In honour of his loving Nan.